Happy 2018! Follow Poetry & Art 2018 here: poetryandartsd.com. Enter your email address at the bottom of the page and click the Follow button. For upcoming SDPA readings, visit sandiegopoetryannual.com. 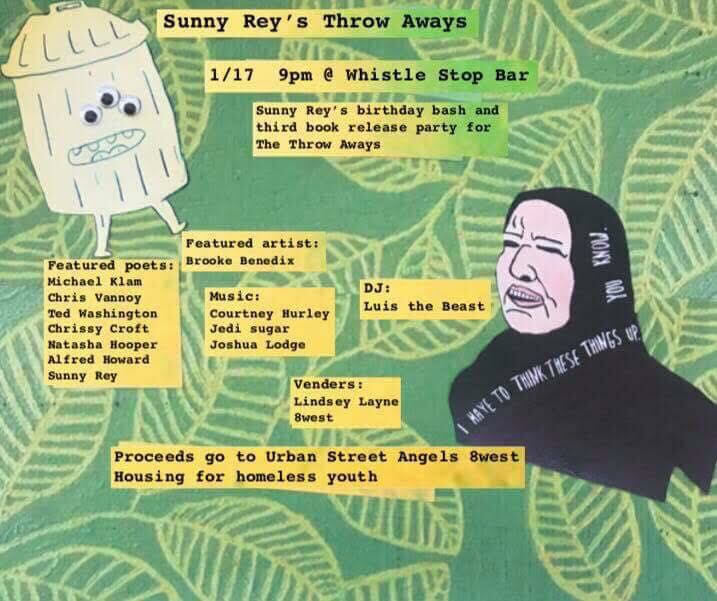 Come celebrate with Sunny Rey at the Whistle Stop (30th Street and Juniper in South Park) on Weds., Jan. 17 at 9 p.m. I’ll be there, honored to feature and read poems with friends, supporting the opening of Sunny’s new book, “The Throw Aways,” and celebrating her birthday with music, poems, beverages and fundraising for Urban Street Angels and 8 West! Writers include Sunny Rey, Chrissy Croft, Natasha Hooper, Alfred Howard, Ted Washington, Michael Klam, and Chris Vannoy. 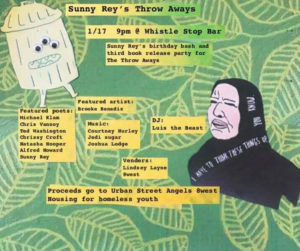 Music by Courtney Hurley, Jedi Sugar, Joshua Lodge, and DJ Luis the Beast. 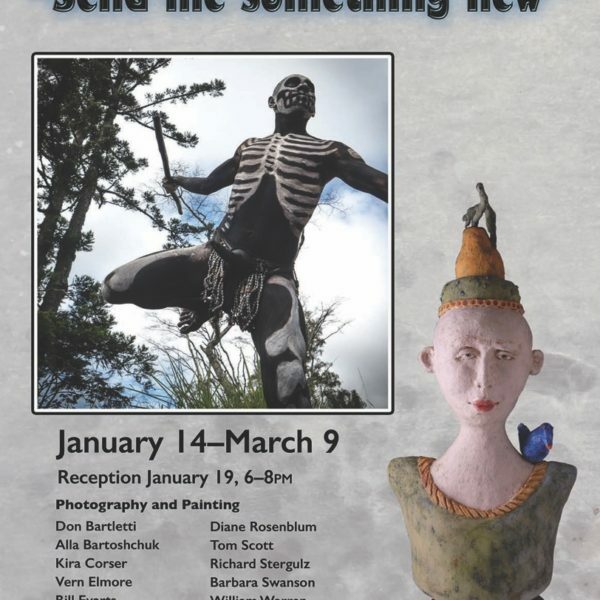 Ted Washington at Fallbrook Library in Group Exhibit!